You deserve to have your rights protected. Everybody does. At the law offices of John W. Callahan, Ltd., we make a point of protecting the rights of people accused of violent crimes, such as armed robbery. We have decades of experience putting our knowledge to work to keep people out of jail and to keep their records clean. 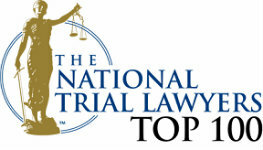 Our attorneys will work hard to pursue the same results for you. To speak within minutes with an experienced armed robbery defense lawyer, call us at 1-877-335-6697 today. You can also e-mail us. 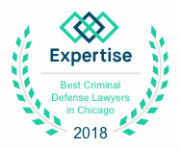 The law offices of John W. Callahan, Ltd., is available to provide strong criminal defense for people in Schaumburg, Chicago and the surrounding parts of Illinois. During the course of the years, we have used aggressive representation to build a strong record of success in all types of robbery cases. We provide defense against armed robbery charges. These are cases that involve using a gun or other weapon to steal money from an individual or business. They include bank robberies, liquor store robberies, gas station robberies and even robberies of individuals on the street. We provide defense against charges of strong-arm robbery. These robberies are committed while unarmed. They can range from purse snatching to stealing from a retail store by using threats of violence. We can also provide defense against charges that might come along with a robbery arrest, such as evading arrest or kidnapping. No matter how serious the charges against you are, we will take them on with an aggressive, winning mentality. We go into every case with winning as our goal. We will take great care to explore every opportunity that will allow us to meet that goal. For a free consultation with a lawyer, call us at 1-877-335-6697. You can also send us an e-mail by completing an online contact form.